AKA Creative has plans to “punch the city in the stomach,” says owner Jesse Shane. See previously: Ten Twenty Twenty-Twelve represents grassroots Charlotte Artists, which was hosted at AKA Creative on Oct 20. 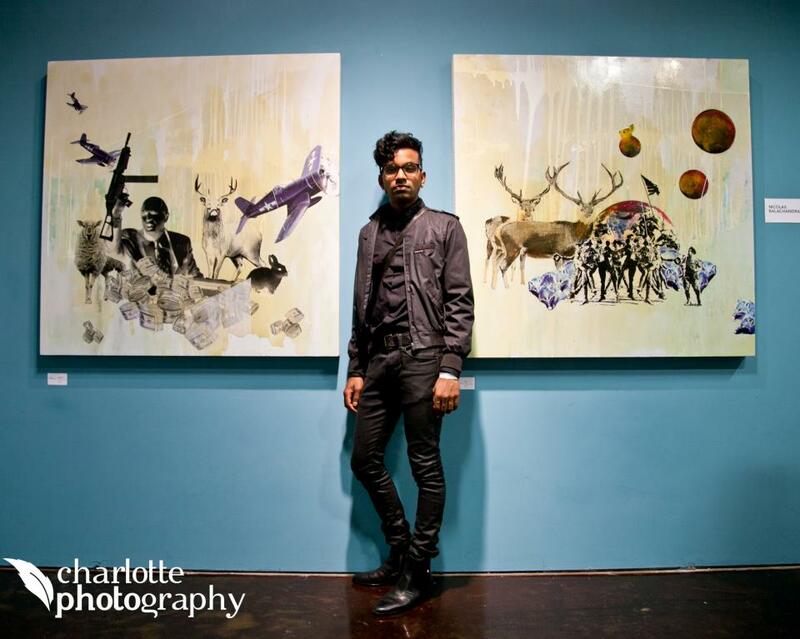 Artist posing with his work in the AKA Creative art gallery. AKA Creative is an ever-growing collective of creative individuals working together to achieve one goal: become the city’s artistically-driven social innovation hub. The collective of open-minded individuals running the space at 316 Remount Road seek to coordinate artistic, cultural, and informative events that make a positive impact on and give back to the city of Charlotte. Check AKA Creative out for yourself on Saturday December 15 at 7:30PM during the Culture Initiative (@CI_CLT) arts event “Found.” More information available on their website.